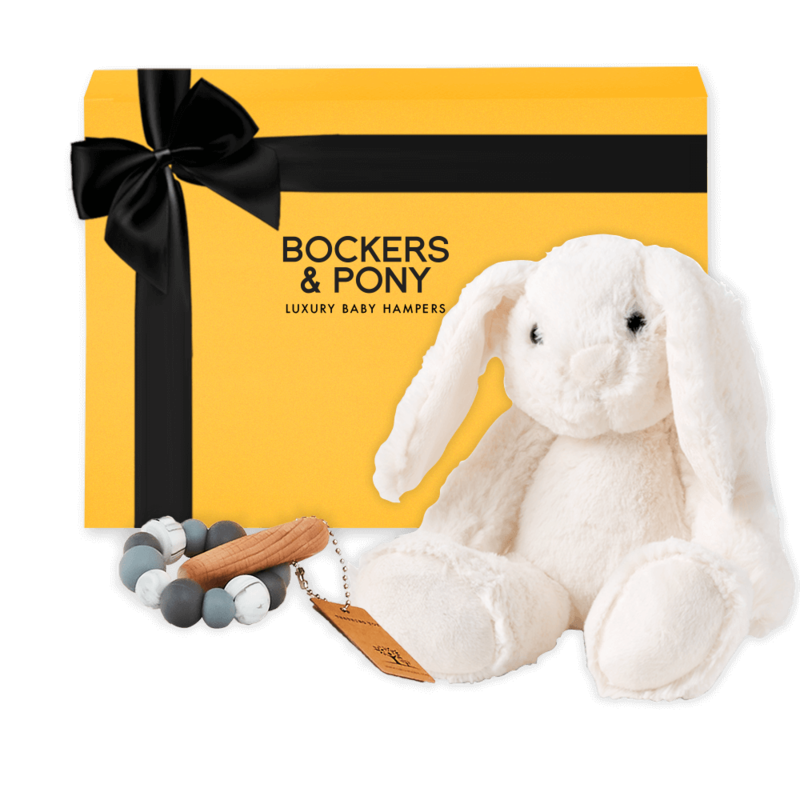 Bockers & Pony has created a range of the most luxurious baby gift baskets and baby hampers. Beautifully presented with exquisite quality products, our baby hampers and gifts are delivered to Melbourne and Sydney on the same day and next business day Australia-wide. 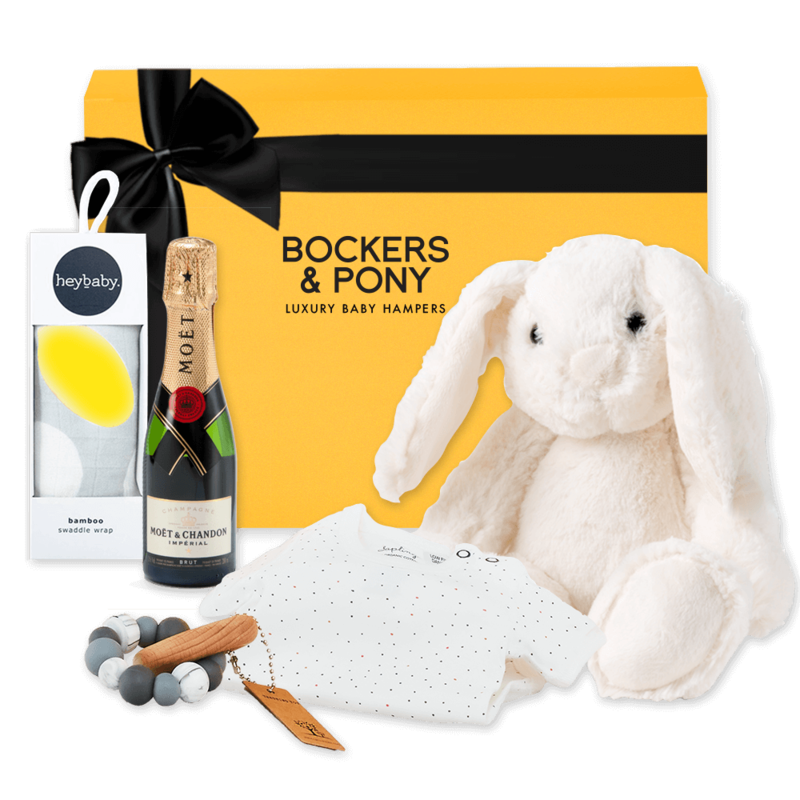 Choose Bockers & Pony for the most perfect baby shower hampers and gifts, maternity gifts and hampers, mother and baby hampers and baby gift baskets. Our baby hampers include some organic cosmetics and leading brands for newborn babies, the softest and sweetest toys and leading champagnes for Mum or Dad. 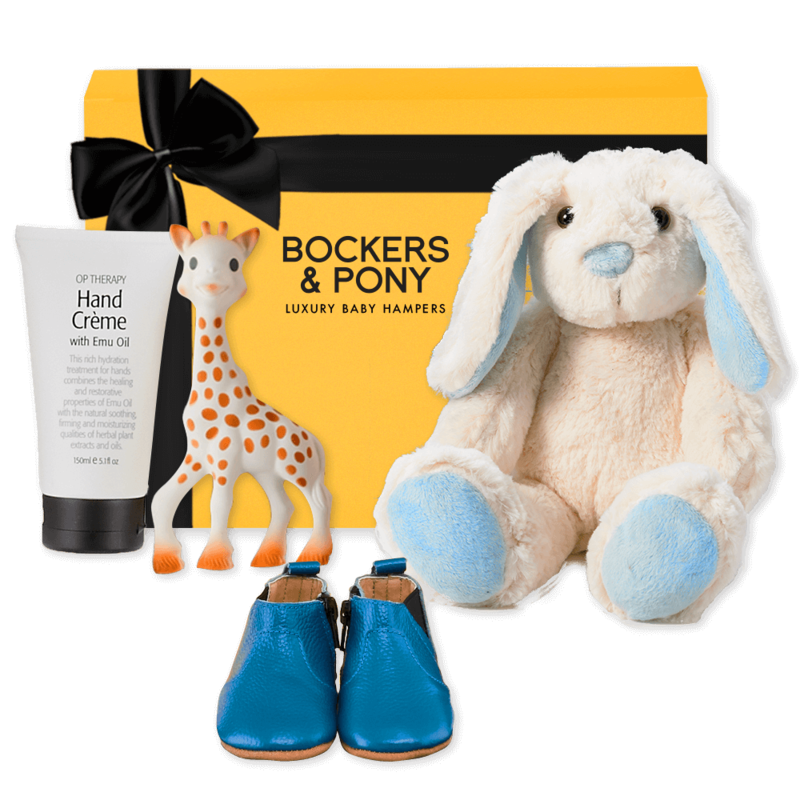 Bockers & Pony deliver luxury baby hampers and baby gifts to Melbourne and Sydney on the same day and next business day Australia-wide to Brisbane, Perth, Adelaide, Hobart, Darwin & Canberra. We also deliver directly to homes and Hospital Rooms. 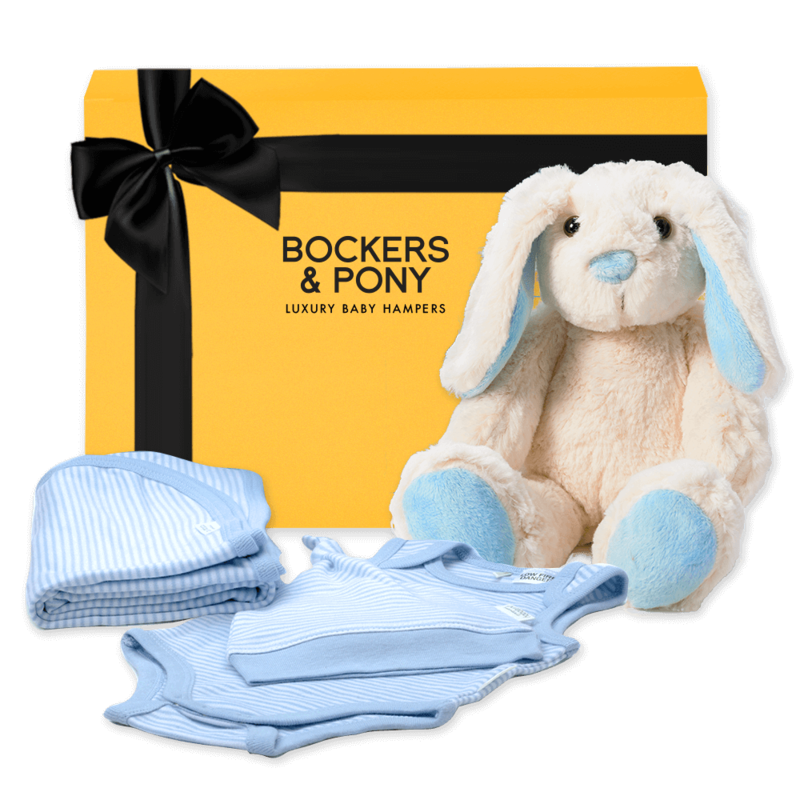 Bockers & Pony pride itself on having the most beautifully presented and luxurious baby gifts, baby hampers and baby gift baskets. Our baby hampers feature leading brands, Uimi cotton and wool baby blankets, Jellycat soft toys perfect for newborn babies, Milk and Co baby products, Pure Baby organic bibs, bodysuits, beanies, wraps and rugs, Flatout Australia wool bears and Uimi Woollen blankets.